St. Stephen's International School is excited to welcome Bobo the Whale to join us for Eco Week 2018. 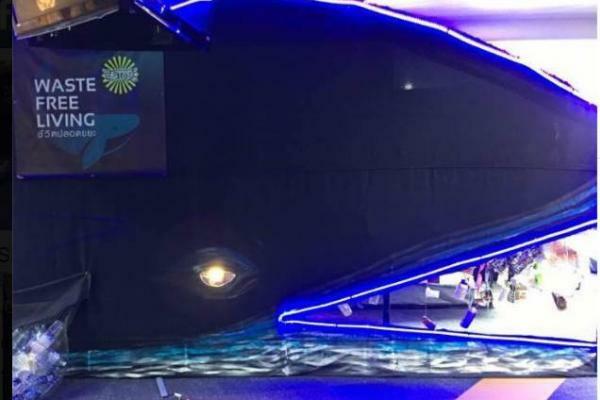 Bobo the 30 metre whale created by the Sang Foundation is a symbol of St.Stephen's journey towards a plastic free school. Bobo will be installed in the shared area from June 4th - 8th to celebrate the beginning of Eco Week. Made from recycled materials, Bobo will showcase the student's work on sustainability and waste management and promote the organisations and people striving for a better future for our world. The students will be invited to take part in art projects, a poster competition and a movie making contest which will be displayed in our very own "Whale Exhibition Centre". There will be opportunities for each class to visit and maybe even have one of their lessons inside! Bobo is a symbol of the huge threat that plastic pollution poses to the environment, ocean, marine creatures and humans. We ask that you remind students that Bobo is to be looked after while in school, just as we hope to look after our Earth.